The roots of hard rocking Welsh trio Budgie, can be traced to Cardiff, in 1967. That was where the band were formed. Originally, Budgie were known as Hills Contemporary Grass. However, after playing several gigs in 1968, Burke Shelley, Tony Bourge and Ray Phillips decided to changed the band’s name to Six Ton Budgie. Before long, this was shortened to Budgie. Little did anyone know that one of the most influential British heavy rock bands had just been christened. The newly christened Budgie would go on to influence a new generation rock bands. They became known as the New Wave of British Heavy Metal. Bands like Judas Priest, Saxon, Iron Maiden, Raven and Def Leppard were among the bands that were inspired by Budgie’s music. 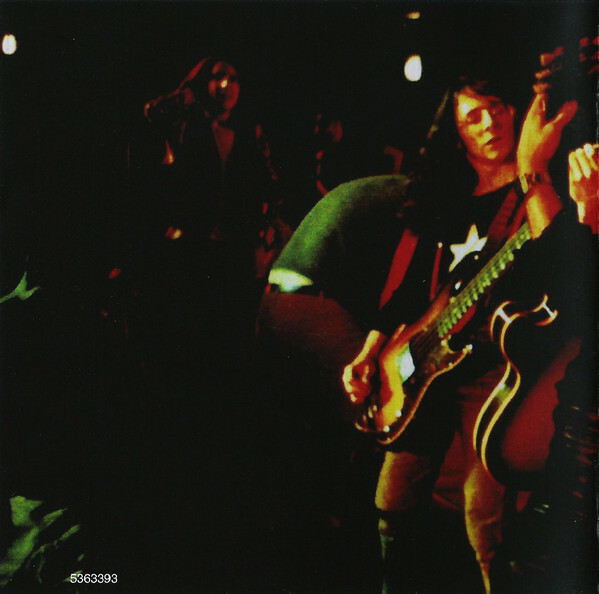 This includes the five albums Budgie recorded between 1970 and 1975. These albums had the potential to turn Budgie into one of the biggest British rock bands of the early seventies. They should’ve launched band’s career as the capture Budgie at their hard rocking best. Budgie wouldn’t have looked out of place alongside Led Zeppelin, Black Sabbath and Deep Purple. Their story began in 1968. Night after night, Budgie like many bands before them, pubs and clubs. Early on, Budgie played locally. Before long, Budgie began to play further afield. Gradually, Budgie began to attract a following. Their hard work and persistence was beginning to pay off. After nearly two years of playing live, decided to Budgie record their first demo. 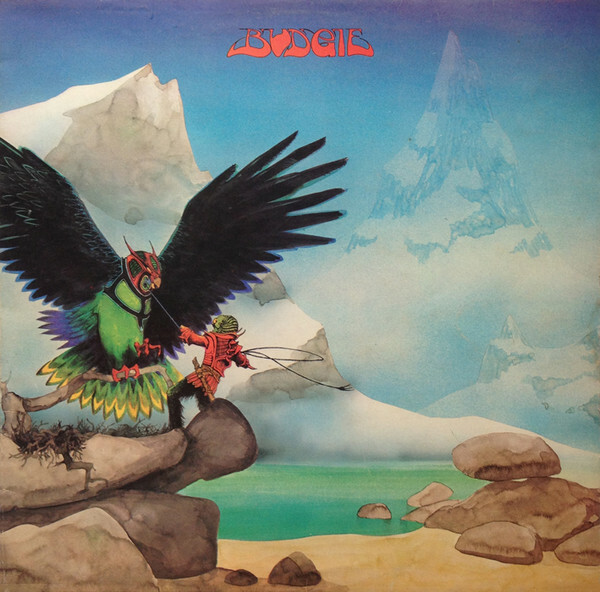 Upon the release of Budgie in 1971, the album failed to chart in the UK. Neither did the non-album single Crash Course In Brain Surgery. This was a huge disappointment for Budgie, Roger Bain and MCA. Later, like Metallica covered Crash Course In Brain Surgery. Thrush Hermit and Soundgarden would all cover songs from Budgie. However, back in 1971, it was back to the drawing board for Budgie. Budgie’s hard work and persistence seemed to be beginning to pay off. They were signed by A&M Records, who Budgie hoped would be album to take them them to the next level. Critics agreed. 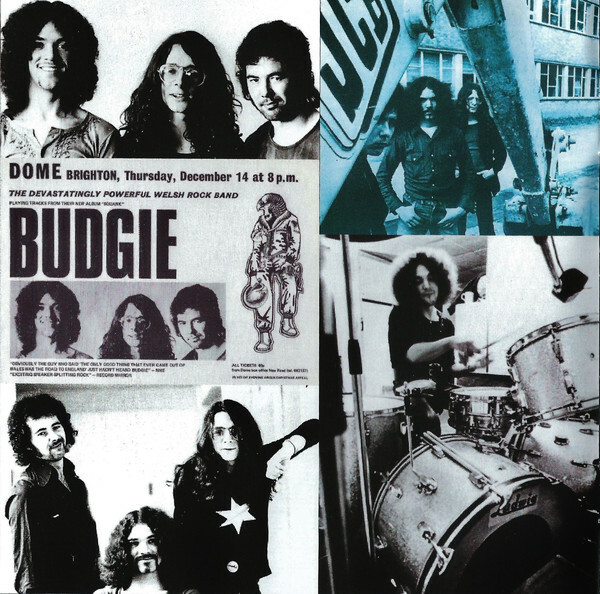 Many critics thought that within a year or two, Budgie would be rubbing shoulders with Black Sabbath and Led Zeppelin. Having signed to A&M Records, Budgie returned with If I Were Brittania I’d Waive The Rules in April 1976. Reviews of the album were mixed. This didn’t auger well for the release of If I Were Britannia I’d Waive The Rules. It failed to chart. For Budgie, this wasn’t the best way to begin the A&M years. 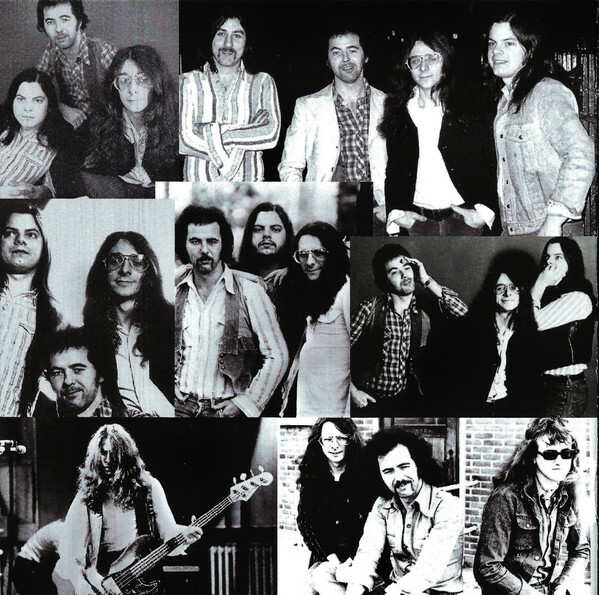 It was nearly two years before Budgie returned in February 1978, with the band’s seventh album Impeckable. Just like If I Were Britannia I’d Waive The Rules, reviews of the album were mixed. When the album was released, it failed to chart. For Budgie, this was a disaster for more reason than one. 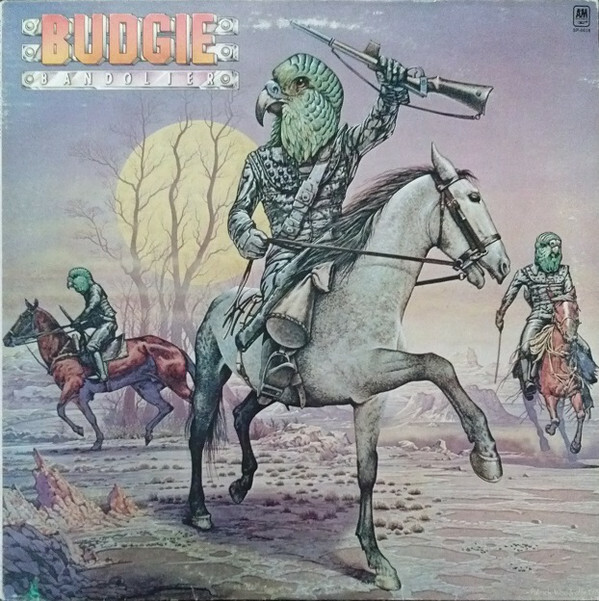 In late 1979, Budgie were dropped by A&M Records. 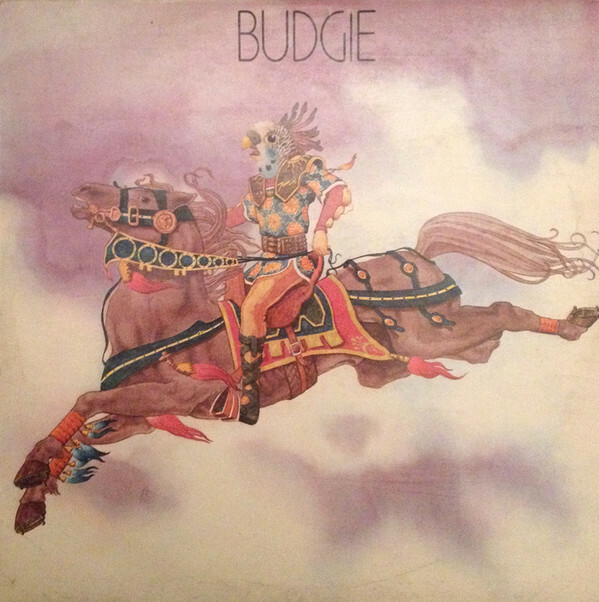 For the first time since 1970, Budgie had no recording contract. Surely, things couldn’t get any worse? weren’t ‘t For The Kill reached twenty-nine in the UK and Bandolier thirty-six. That looked like it was the start of the rise and rise of Budgie. 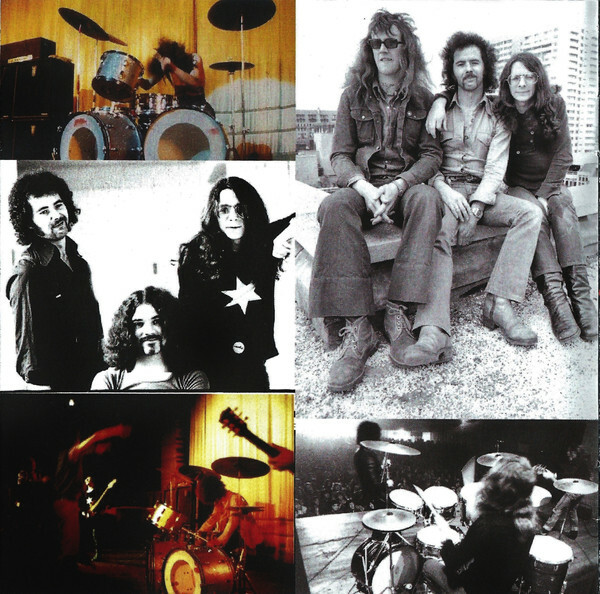 Many critics thought that within a year or two, Budgie would be rubbing shoulders with Black Sabbath and Led Zeppelin. Sadly, Budgie never built on the success in 1980. Kingsley Wards’ Active Records was a relatively new record company. It had only been founded in 1980, but already the label had signed a distribution deal with RCA. Even with this distribution deal in place, it was still something of a coup for Active Records to sign Budgie. They released their eighth studio album Power Supply in October 1980. This was the first new album from the new lineup of the band. One thing didn’t change, was that the reviews were mixed. Budgie’s last three albums seemed to polarise the opinion of critics and fans. Power Supply became Budgie’s third consecutive album that had failed to chart. It was another disappointment for the hard rocking trio. 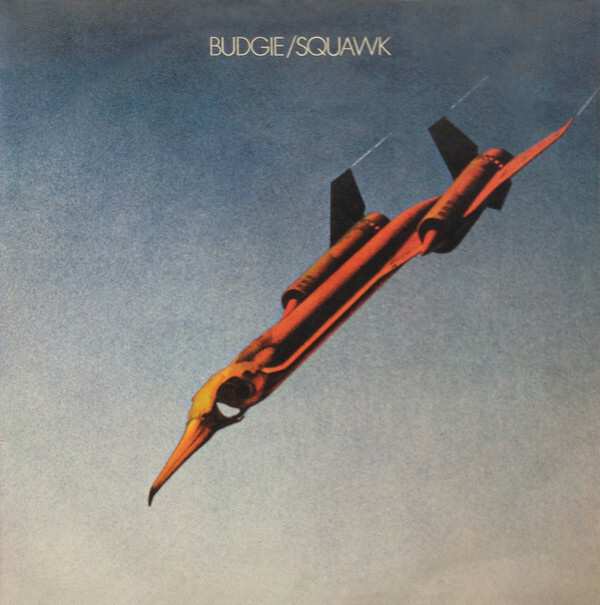 Despite the disappointing sales of Power Supply, Budgie returned to the studio and a year later, returned with their ninth album Nightflight. While there were still some dissenting voices amongst critics, mostly the album was well received. Things were looking up for Budgie. Especially when Nightflight charted and reached sixty-eight in the UK. Nightflight was Budgie first album to chart since Bandolier in 1975. Then when Keeping a Rendezvous was released as a single, it reached number seventy-one in the UK. It looked as if Budgie’s fortunes were improving. RCA who distributed Active Records’ releases signed Budgie after Nightflight. This looked like perfect timing as Budgie were still a popular live draw. They had supported Ozzy Osbourne during his Blizzard of Ozz Tour in 1980 and 1981. Budgie a had a huge following in Poland, where they became the first band play behind the Iron Curtain. However, in Britain, Budgie popularity had been on the rise since the New Wave of British Heavy Metal began. This cumulated with Budgie headlining the Reading Festival in the summer 1982. It looked their star was once again in the ascendancy, For a band who were about to release a new album, it was perfect timing. Budgie released their tenth album Deliver Us From Evil in October 1982. Deliver Us From marked the debut of keyboardist Duncan MacKay as a full member of Budgie. He was an experienced musician who previously, had been a member Steve Harley and Cockney Rebel and 10CC. However, Duncan MacKay didn’t play a part in the writing of Deliver Us From Evil. It was written by the other three members of Budgie and was their first concept album. Given the political climate, Deliver Us From Evil was particularly relevant. Burke Shelley described the album as one that “attacks the power structures of East and West and the balance of terror…and…refers to all kinds of evil, not just The Bomb and war, but the main theme calls for world peace.” When Deliver Us From Evil was released in October 1982, critics heard a much more commercial sounding album. However, the reviews of Deliver Us From Evil were mixed. It reached sixty-two in the UK and became Budgie’s most successful album since Bandolier in 1976. Despite the relative success of Deliver Us From Evil, Budgie never released another album for RCA. Their time at RCA was brief, and it would be twenty-four years before Budgie released another album. Budgie continued to play live until 1988. However, Budgie stopped playing live in 1988 and the members of the band embarked on careers in production. After twenty-years, it looked as if the Budgie story was over. Twenty-four years later, and Budgie were back. They were about to embark upon a thirty-five date tour of Poland. To coincide with the tour, Budgie released their eleventh album You’re All Living In Cuckooland. Only Burke Shelley and Steve Williams remained from the previous incarnation of Budgie. Despite touring You’re All Living In Cuckooland., it failed to chart. Budgie’s eleventh album was their swan-song. For Budgie, it was a case of what might have been. Budgie were one of the hardest rocking bands of the early seventies. They had the potential to become one of the biggest names in British rock, and could’ve and should’ve gone on to become one of biggest names in British rock. Sadly, Budgie never reached the heights that their music deserved. It was a case of what might have been? Maybe things would’ve been different if Budgie had stayed at MCA? That was where Budgie released the best music of their career. Their move to A&M Records coincided with the decline in Budgie’s fortunes. Never again did the band enjoy the same commercial success and critical acclaim. That was despite signing to A&M Records and RCA. However, the spells with both labels proved brief and unsuccessful. As a result, Budgie never built on the success In For The Kill and Bandolier. These two albums were the most successful of Budgie’s eleven album career. 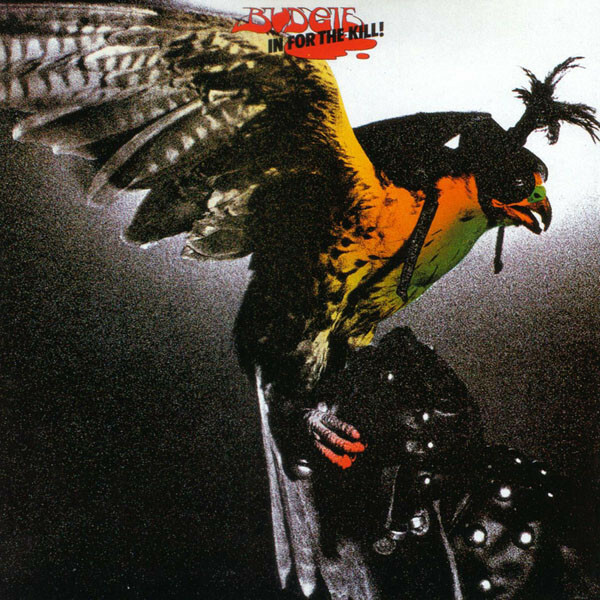 When Budgie released In For The Kill and Bandolier, it looked as if they were destined for greatness, and soon, would be rubbing shoulders with Led Zeppelin, Black Sabbath and Deep Purple. However, while the unholy trinity released million selling albums and toured the world, commercial success started to elude Budgie. What didn’t help was that Budgie’s lineup changed several times. Ray Phillips was the first to leave. He left after the release of Never Turn Your Back On A Friend and missed out on the success of In For The Kill and Bandolier. However, this was just the first of several changes in Budgie’s lineup. By1980, Burke Shelley was the last man standing. The other two original members of Budgie had left the band. Despite recruiting talented musicians, Budgie and releasing six further studio albums, they never came close to reaching the heights of In For The Kill and Bandolier. Eleven years after Budgie released their swan-song You’re All Living In Cuckooland in 2006, the hard rocking trio are now regarded as one of the greatest hard rock groups of the early seventies. The music Budgie released on MCA is regarded as the best music of their long career. Especially, the trio released between 1973 and 1975. This began with Never Turn Your Back On A Friend, then In For The Kill and Bandolier. These three albums feature Budgie at their hard rocking best. Just like the other two albums Budgie released for MCA, they’re a reminder of an oft-overlooked and underrated band. However, Budgie had the talent to become one of the most successful, hard rocking bands of the seventies. Sadly, Lady Luck didn’t smile on Budgie. Instead, it’s a case of what might have been for Budgie. WILL LOVE BUDGIE TILL THE DAY I DIE. I think I may have even played with, while starting a band in London, Ontario 1976, Pete Boot because I know they had ties there, but memory fails me… “Impeccable” was recorded down the street from where I was living then Dorchester, Ontario at Springfield Sound. Later I formed a band called IRON GYPSY inspired by Budgie and Mountain. Pete (?) liked my vocals and guitar playing which was a huge boast for me as a 16 years old rocker. Pete always wore those glasses, was very tall and played a mean double kick, I was forever spoiled, however was ‘roadying for Thundermug at the time in London. R.I.P. Pete & Budgie, with Love, James Mark – Rock On !